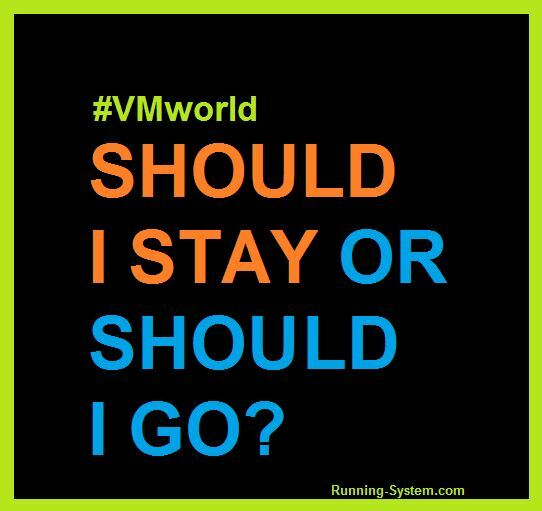 VMworld 2017 - Should I stay or should I go? Here some pro and cons! Looking at my schedule, I just realized that VMworld 2017 is really close. The expiration date for the Early Bird Rate (for VMworld US) already ends June, 12! Should I stay at home or should I go to Las Vegas or Barcelona for VMworld? I understand, that in these days it is not so easy to get the funding for attending a conference by your employer. Spending money on the conference pass, travel expenses for hotel and flight and last but not least not having a valuable staff member in-house to keep the system running may be difficult for a business. On the other side, the budget is well invested! The list with the Pros is definitely longer. But at the end of the day, it is up to you how strong you can benefit from the advantages offered by a conference like VMworld. If you plan ahead and do not spend most of your time in the casinos of Las Vegas or at Las Ramblas when going to Barcelona, it will be a boost to your career and a great experience for yourself. During my first VMworld’s I spent countless time in breakout sessions. They are a source of knowledge! But on the other side, you can access them all after the conference from home as they are recorded. So choose well before you register for too many breakout-sessions. How great is this space! Having such a large number of vendors in one room (ok – it’s a very large hall) is fantastic. You can walk around and learn and hear about all the cool new (and old) stuff available in the virtualization-, storage- ; and network field. Are you hunting for swag? This is your playground! Since many of the Hands-on-Labs are available online, I would not spend too much time here. Do not understand me wrong – the labs are more than valuable to improve your skills. But you need two hours per lab as a minimum – and time flies by at VMworld. I try to handle one or two labs – this is a good number for me. This is one of the biggest benefits in my opinion. During VMworld a lot of gatherings, parties and receptions are offering good possibilities to get in touch with other attendees. I know, that it is often not so easy to come together in conversation, especially when you are not a native english speaker. But I assure you, at VMworld are hundreds of really smart people you really should get to know. I am sure you definitely deliver a great job every day. But sometimes there are better or newer solutions available to deal with a specific request. So take the chance and learn about new technologies and benefit from the experience of other attendees. Many vendors bring their best brains to VMworld. So take your chance to talk and discuss with them. Ok, this is not the argument you can bring to your boss… But if I look back at the last nine VMworlds I was able to attend (I attended every VMworld taking place in Europe), I can only say each and every one was a blast! I met so many great people and there were so many great experiences that I do definitely not want to miss. I am sure that there are still some Pros missing. Feel free to leave a comment if you know about one. But the point is, that the days in Las Vegas or Barcelona are well spent to improve your skills and develop yourself. By the way, if your company is not able to fund the conference pass – why not try to win one? Win a free conference pass for VMworld 2017! 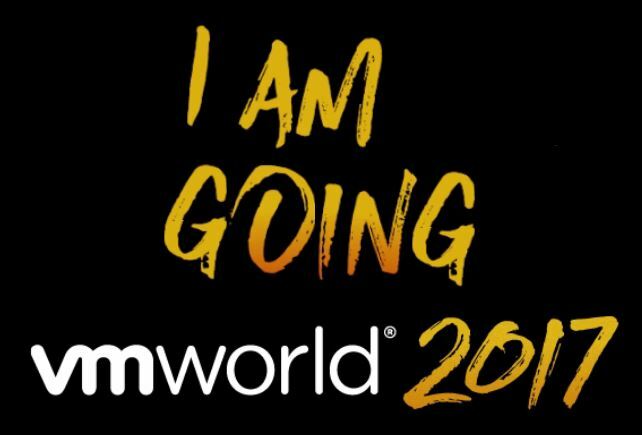 And here the link where you can register for VMworld – but do not hesitate too long – Early Bird rate expires soon!! !